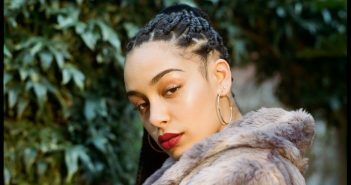 You are at:Home»Posts Tagged "FKA twigs"
With a BRITs British Breakthrough Award and collaborations with some of the biggest names in hip-hop, Jorja Smith is one to watch in 2019 and beyond. 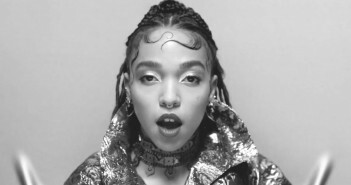 FKA twigs is to be found among the folds of a duvet in her new video. Records Editor Amy reviews. Deputy Editor, Lewis, reviews FKA twigs new single, ‘Good to Love’. The singer has joined Oscar-winning director Danny Boyle, to write music for his new play about the struggles of children growing up in rural townships in South Africa. The actor addressed the ongoing racist abuse his fiancée receives online in a recent interview with NME. Records Editor Amy ventured to Robin Hill Park on the Isle of Wight for a colourful weekend at Bestival 2015’s Summer of Love (10/09/2015-13/09/2015). Deputy Editor Lewis reviews the brand new track by FKA twigs. The latest track from FKA twigs’ upcoming EP, Melissa, premiered today on Zane Lowe’s Beats 1 Radio show. Records Editor Amy shares the acts she’s excited for at Bestival’s Summer of Love (10/09/15-13/09/15). 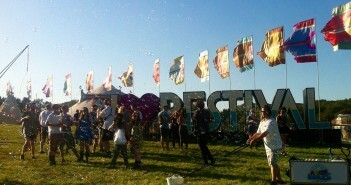 Henna Patel and James Chadwick take us through who they thought performed the best sets over Glastonbury weekend. Henna and James let you know the acts they’re looking forward to at this year’s Glastonbury. Will you agree? Day 2 brought new talent Badbadnotgood, the utterly underwhelming Jungle, and a man of legendary status, Nas. In the singles chart, Nico & Vinz hold onto the number one spot they claimed last week. FKA Twigs will begin her six-date UK October tour in Brighton.